Dream Events USA | Sports Tickets | Sports Ticket Packages | Corporate Hospitality Tickets | Concerts, Theatre, and more! At Dream Events USA, we specialize in the service of providing tickets and hospitality packages to all major sporting & entertainment events Worldwide. Whether you are planning to take your best clients to the Super Bowl, or your friends to The Masters, we can develop the perfect package. What is Dream Events USA? At Dream Events USA, we provide tickets and hospitality packages to all Major and Local Sporting and Entertainment events across the United States and worldwide. Your dreams are our priority. We can help you meet your objectives and your budget.Free Shipping & No Service Fees! Dream Events USA clients range from Fortune 500 companies to individuals. We help businesses, friends and families create the memories of a lifetime by securing tickets to that special event that you’ve always dreamed of attending. Our packages are unforgettable, and time is no obstacle: If you are looking to secure tickets or a hospitality package for an event next month, this week, or even tomorrow, or top-rate service and quick, free shipping can make it happen. What to make a dream come true? 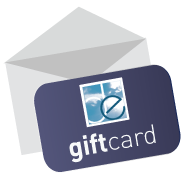 Give a Dream Events USA giftcard! Our unique corporate gifts will make your event extra unforgettable. For ticket prices and package availability for any event across the globe, please call us at 212-575-7730 or fill out our inquiry form via the button below. Looking to Sell Your Tickets? "We really wanted to take our top clients the final, but couldn't get tickets for the whole group - until we called Dream Events. Thanks guys!!!"